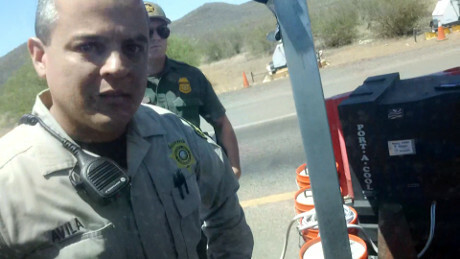 A PCSD deputy was deployed at the roadblock that day and was collecting overtime along with mileage and other travel costs from the Border Patrol to assist them at the roadblock. You see the Department of Homeland Security is now in the business of bribing local law enforcement agencies with large grants from Operation Stonegarden to ‘assist’ Border Patrol agents in the field. The Pima County Sheriff’s Department has had it’s hand out to Homeland Security for the past few years now collecting about a million dollars annually from the program. Why not after all when all deputies have to do in exchange for the easy money is run cover for the Border Patrol while they harass domestic traffic inside the country absent suspicion.